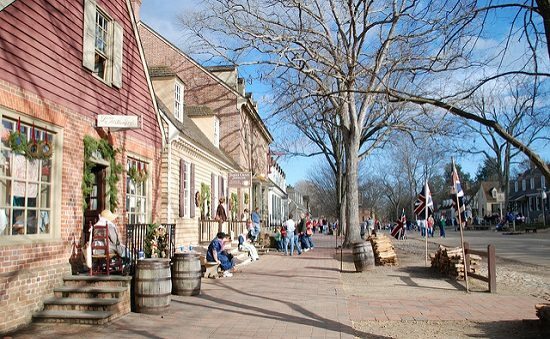 For Fiscal Year 2017, Colonial Williamsburg estimates that its tax bill to the City of Williamsburg will exceed $2.1 million, representing real estate tax, property tax, and other service and license fees. That $2.1 million is 3.5 percent of the city’s FY 2018 Budget. The foundation also estimates real estate tax bills of $114,218 to York County and $75,235 to James County. Reiss’ request for a three-year hold on taxes to all three regions also includes a request for a hold on the City of Williamsburg’s proposed new admission tax of seven percent, which would raise ticket prices. According to the Williamsburg Yorktown Daily, in debates on this proposed tax last month, the City of Williamsburg claimed that this additional revenue would go toward a “tourism development fund” to support the region’s reputation as a tourist destination. Attempting to counter that claim, Reiss argued that the tax would have “devastating” effects on the foundation which was already struggling. The debate over if and how nonprofits should be taxed by their local regions has become heightened since the 2008 recession, which depleted the tax base of many regions throughout the country. Should Your Nonprofit Build an Endowment? Most nonprofits dream, at some point, about that endowment that would ensure their stability from year to year. But endowments aren’t for every nonprofit. This article walks the reader through their up- and downsides.